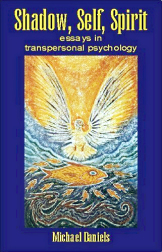 Transpersonal Psychology concerns the study of those states and processes in which people experience a deeper sense of who they are, or a greater sense of connectedness to nature, or the spiritual dimension. Michael Daniels taught the subject as part of a University psychology curriculum, and this book brings together the fruits of his studies. It will be of special value to students, and its accessible style will appeal also to all who are interested in the spiritual dimension of human experience. "A superb contribution to the literature ... a must read. "Dr Tony Lawrence, Coventry University. (Amazon.co.uk review, November 15, 2005).